A glimpse of hope for Syria? The Syrian National Coalition (SNC), the one and only body considered as representative of the Syrian opposition by the international community (despite its lacklustre state and its problems with the rebels on the ground, many of them having refused to recognise its authority and rejecting the idea of negotiations) has agreed to participate in peace talks with the regime that will take place in Geneva, what pundits like to call “Geneva 2 talks”. The helter-skelter body has however outlined certain conditions for its attendance that will need to prove the Syrian regime’s goodwill and predisposition, particularly a guarantee that relief agencies would be given access to deliver humanitarian assistance and that political prisoners would be released. In this sense, many considered as a very good omen a deal whereby a blockade on the rebel-held town of Qudsaya, near Damascus, will be eased. The Communiqué that will in principle be seen as a foundation for this round of talks was reached in 30 June 2012 and called for an immediate cessation of violence and the establishment of a transitional government. The text did not mention the need for Assad to step down, and even foresaw that this government could include officials serving under Mr Assad, those “with blood in their hands”. Aware of its being in a much more favourable position, the current Syrian government has rejected any preconditions for the Geneva talks. Nonetheless the SNC’s statement reiterates demands that President Bashar al-Assad step down in any transitional government. This decision may actually be one of the worst steps by the Syrian opposition. For starters, because the Syrian regime has repeatedly insisted that any political solution will not involve Mr Assad’s departure. On the other hand because given the current situation both on the ground and in the international arena, Mr Assad looks today more unlikely to go than ever. 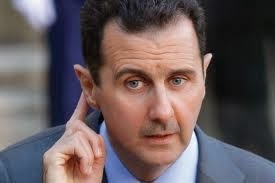 As a matter of fact, Assad seems to be increasing his grip on parts of the country. More and more Syrians from both sides realise the main aim has become blunting the violence in a country that might not be ready to endure a “Lebanization” but might turn into a failed state. A country where hunger and disease are on the rise, entire cities and towns have been destroyed and more than nine million people have been displaced from their homes. If violence is to stop, any comprehensive sensible proposal should at least forget about Mr Assad and instead focus on convincing members of the current regime (both in the Government and in the security forces) retributive justice won’t be resorted to. Compromise and reassurances will be needed from both sides, who fear that the side winning this all-out war will have no mercy towards anyone related, even in the slightest, with its enemies. Allowing Assad to preside over a transition and then decline to run for re-election would mean the President has saved Syria from jihadists, as he has claimed since the onset. Against this background, the international community should adopt a proactive stance, if they are to show they do not have vested interests in the continuation of this war. One of its first measures should target the Syrian opposition itself: recognising the SNC might have been a necessary first step, but nowadays the SNC is its weakest state ever. Efforts should be made to thrust diplomats, politicians, soldiers and civilians to the table in order to build a comprehensive representative entity capable of representing the true wishes of those who first took to the streets back in 2011. It seems highly likely Syria will long remain divided among areas dominated by jihadist fighters (that nowadays kill not only Syrian soldiers but also rebels), FSA/moderate elements of the opposition and a transitional government (the latter may even come to terms), and the Kurdish in their increasingly autonomous territory. Most Syrians aware of this fact have grown exhausted of seeing people die without any apparent reason, and a huge majority has drawn on conclusion: is forcing Assad to step down really worth it, especially achieving this could entail fighting a new civil war against the foreign-dominated Islamic State in Iraq and Syria and the likes?